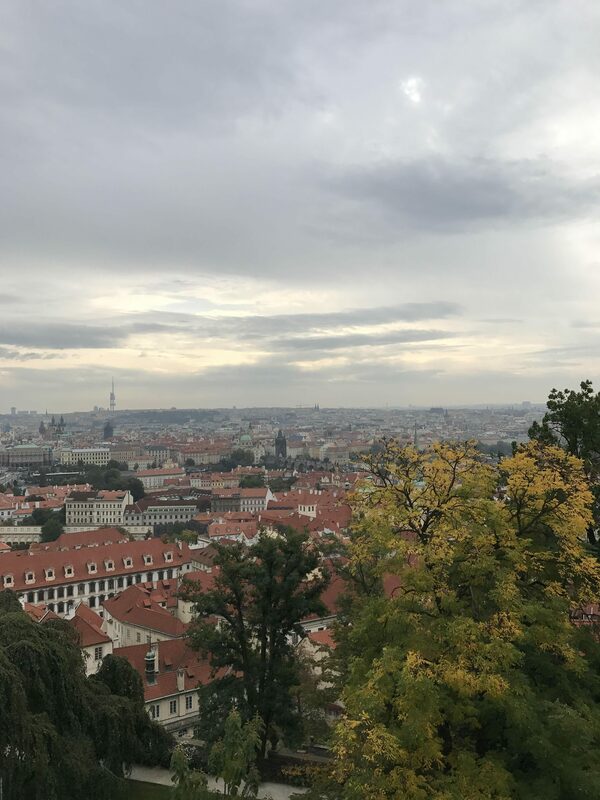 Prague was the second city on my European tour last fall and I truly fell in love. Prague is my new favorite city and I would literally go back tomorrow if I could. I thought it was a beautiful city and I also loved the people. 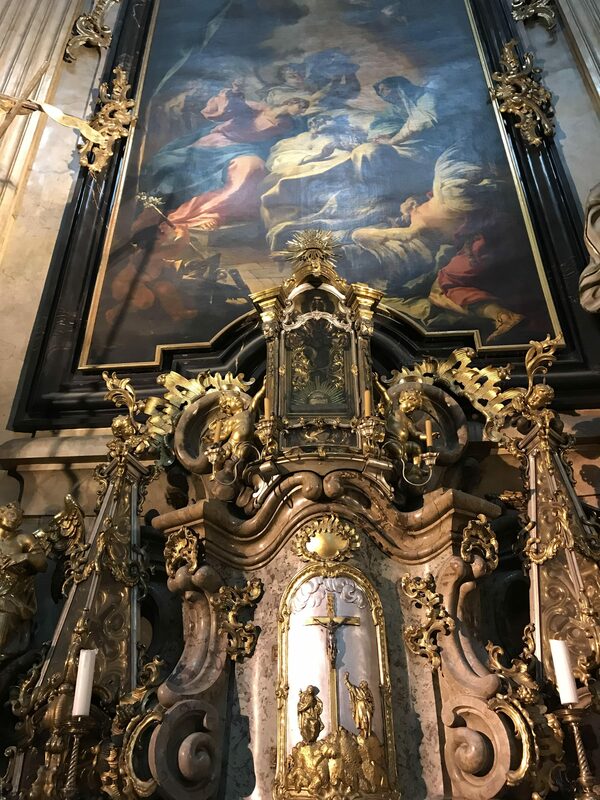 I had a number of fantastic experiences in Prague and am thrilled to share them with you all. If you have specific questions, please let me know in the comments. Like I mentioned, I absolutely loved Prague. Here’s a quick overview of what I did while there. Everything was stunning and beautiful and old. There was tons of cobblestone, lots of steps and I definitely walked miles and miles each day. My favorite thing about Prague was the friendly people and just exploring this very walkable city. My favorite evening was having dinner with friends at a burger joint that had gotten great reviews (The Tavern in case you are interested). Our super fun server encouraged us to go around the corner and check out one of his favorite American themed bars, Bukowski (named after American writer Charles Bukowski). The burgers were great, the bar was really chill and felt like a place I’d frequent if I lived in the neighborhood and it was just a delightful time. As was true all throughout Europe, public transportation was super easy to use. I never took a cab during my entire trip (except for a cab when I first arrived in Berlin). I was able to pretty easily navigate the public transportation system in Prague, which was another win. 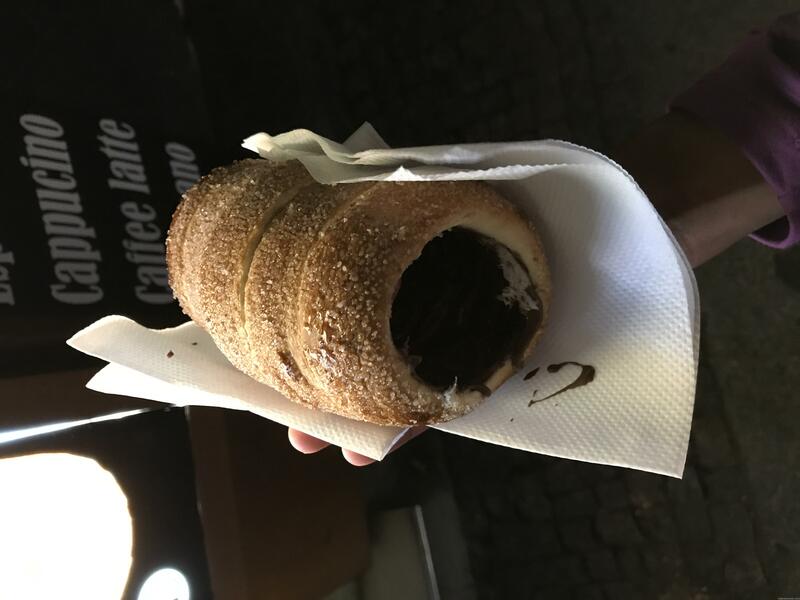 My other favorite thing about Prague – the trdelnik that you could find everywhere. What’s trdelnik, you ask? The above pictured delicious dessert that is incredibly popular in Prague. It’s basically grilled dough that is covered in sugar and filled with deliciousness. I could only eat about half of mine because it is so rich, but dang it was good. Finally, my time in Prague started my new cider obsession. We had lunch at a little bar that had the m most delicious cider and I can apparently only get it in Prague…so I guess I have to go back! Leaving you a final image of the other lingering memory of Prague – it’s gorgeous churches. I particularly loved St. Nicholas Church. It is incredible and ornate and old and gorgeous – the perfect description of this city. Have you ever been to Prague? Did you love it? 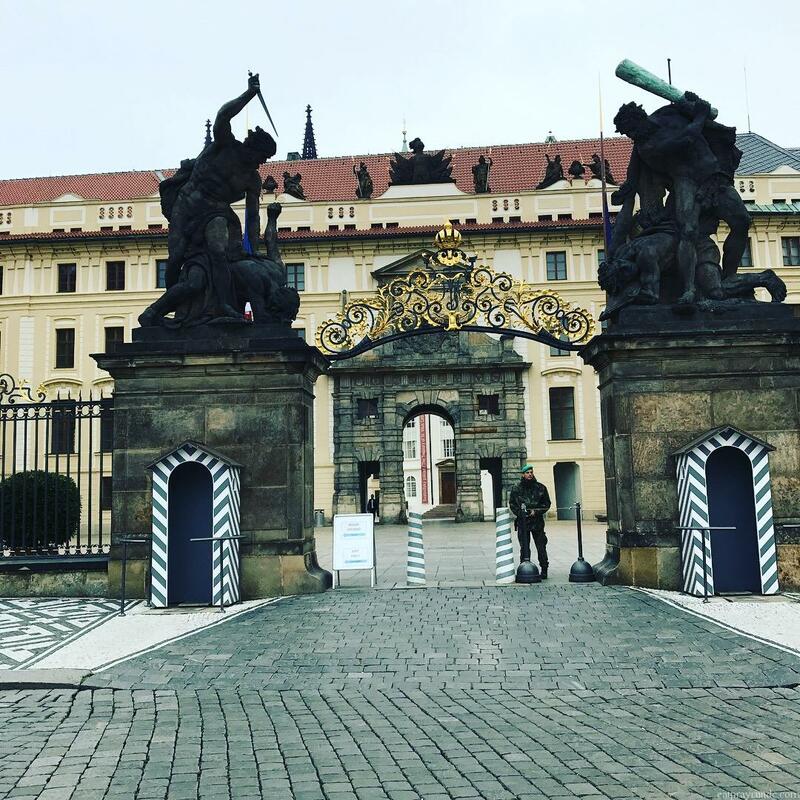 If you are looking for more information on where I stayed in Prague, etc. check out this post. My daughter took a weekend trip there while studying in Tel Aviv last semester. She loved it for all the same reasons that you did. I still have not been! It is fantastic – highly recommend. Might be the most beautiful city I’ve ever been to!